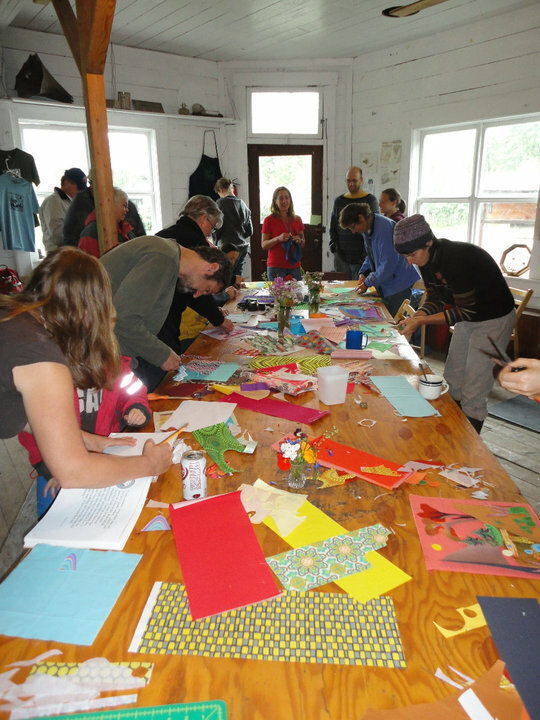 In the summer of 2011, the community of McCarthy, Alaska gathered together on a rainy August day to make quilt blocks for a community quilt. 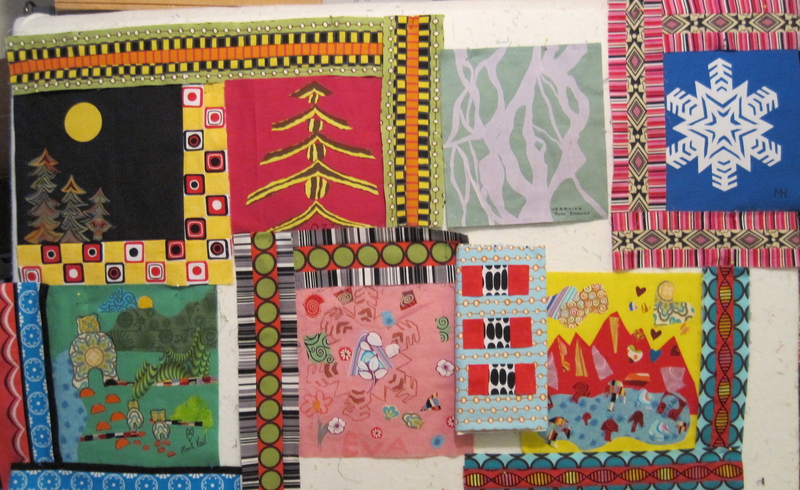 When I make community quilts, more often than not, the community members involved do not know how to make a quilt block. I prep lots of sheets of fabric by placing a fusible, heat-activated adhesive to the backside of the fabric. The community members then cut their images out of the fabric and adhere with heat the images to a background fabric. This method works really well as it allows the maximum number of individuals in a community to participate. I asked each quilt block maker to make a block that represents him or her in the community. It could be something loved or something about themselves. 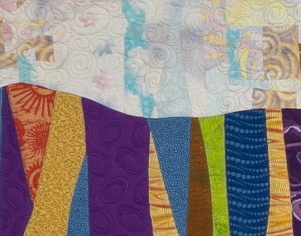 I did not limit or control the size or topic of the quilt block. Once the blocks are gathered, I begin moving them around into various compositions. 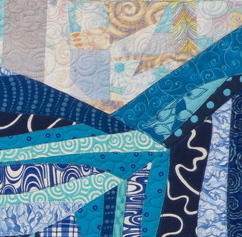 I like to create pieced blocks that mimic the appliquéd blocks. 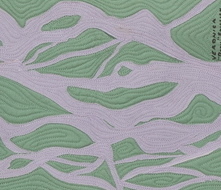 A braided river and a braided river. A tree and a tree. A glacier and a glacier. A mountain and a mountain. 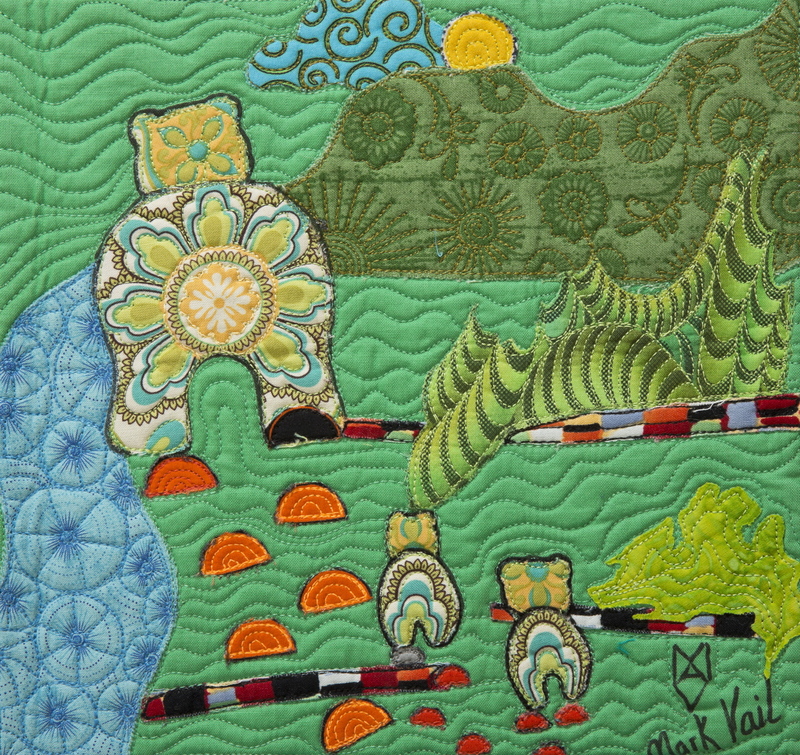 Last summer, I spent hours and hours on my long arm quilting machine stitching all three layers together. 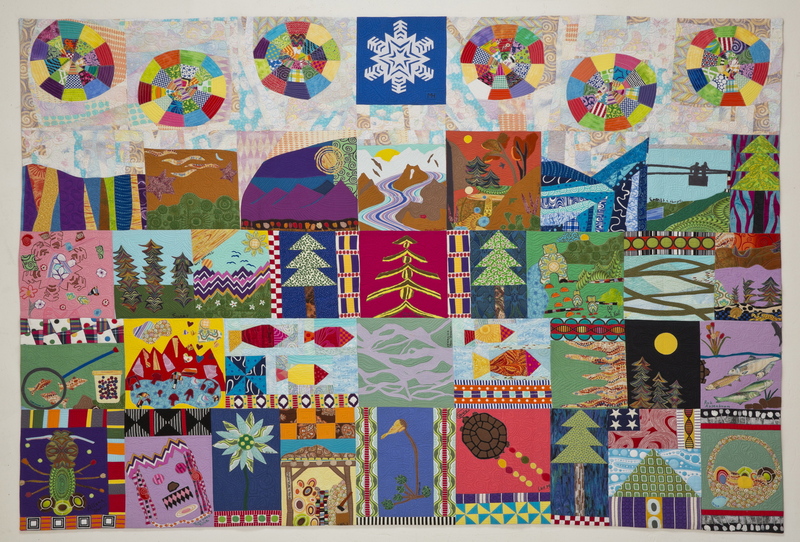 It makes me very happy to say that this quilt, thanks in part to the Art Acquisition Fund and the Rasmuson Foundation, is now part of the McCarthy-Kennicott Historical Museum’s permanent collection. 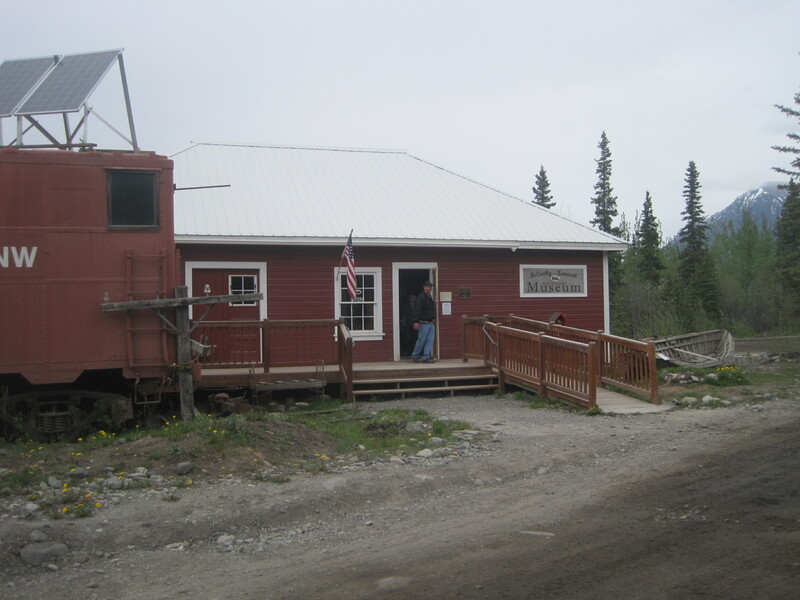 The McCarthy-Kennicott Historical Museum is located in an old railroad depot in downtown McCarthy. 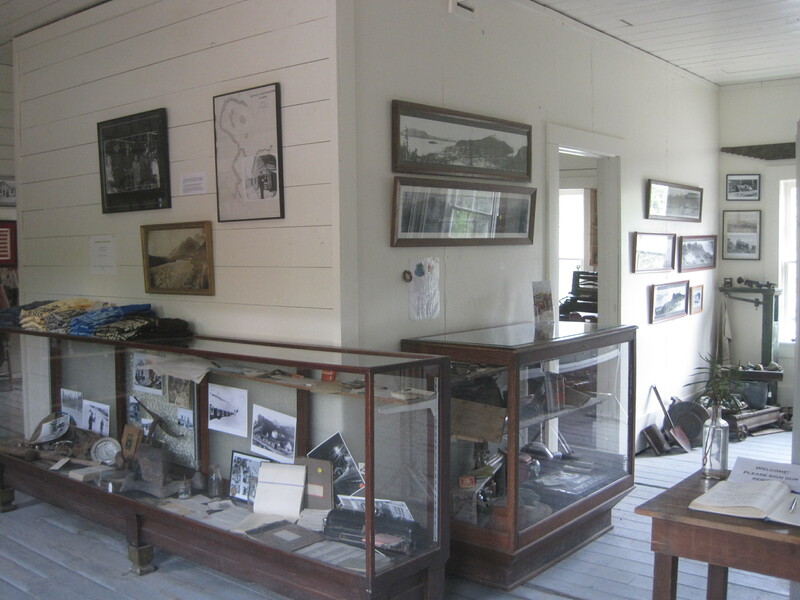 The museum is filled with wonderful artifacts documenting the copper and gold mining days of the community. 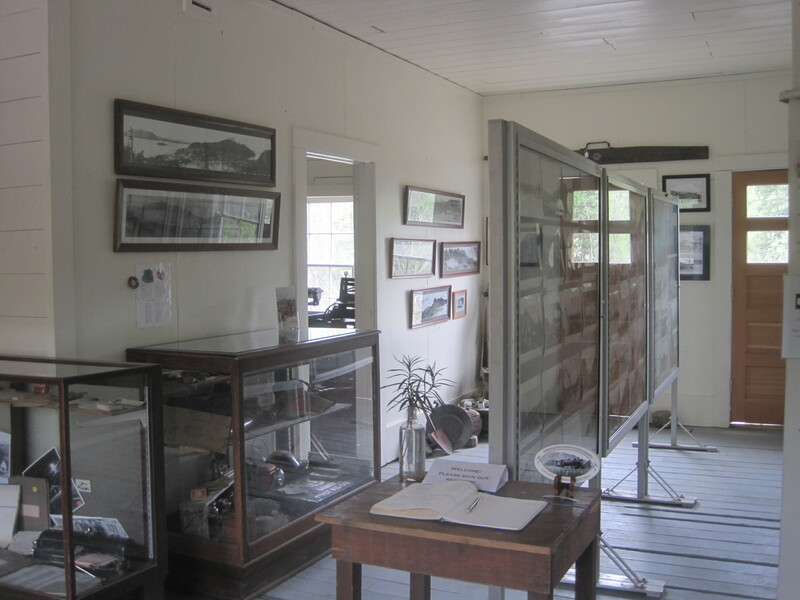 In recent years, the museum has dedicated more energy and space to documenting the years following the mining days. 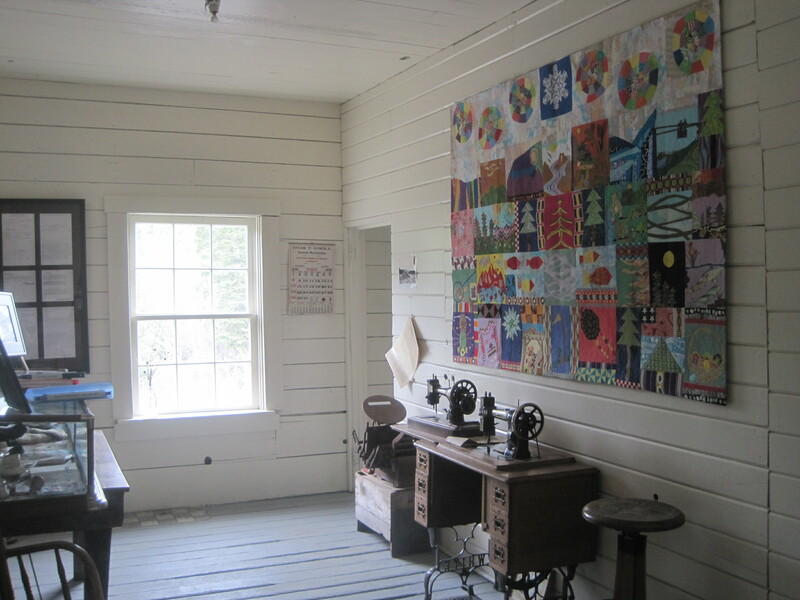 On Memorial Day, Walt and I walked down the street from our cabin to the museum to hang the quilt. 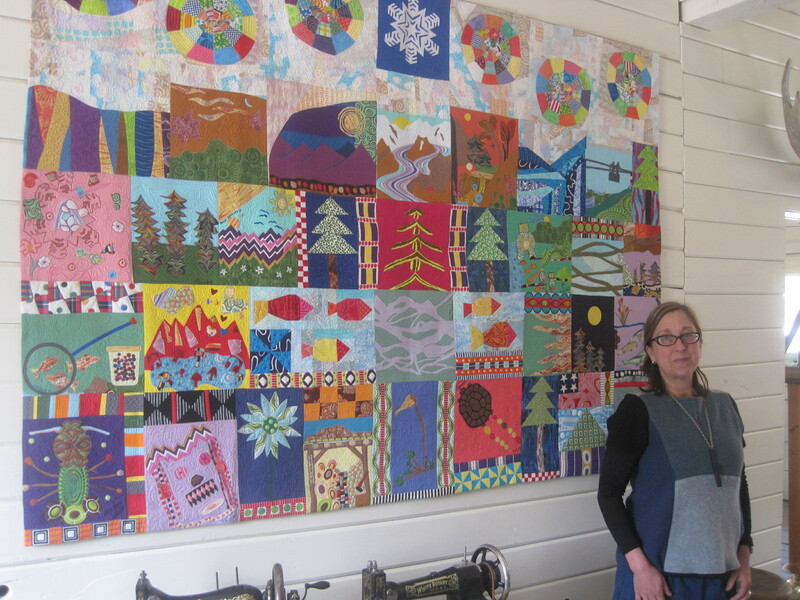 Hanging a large mural style quilt is a bit harder to do than you might think. 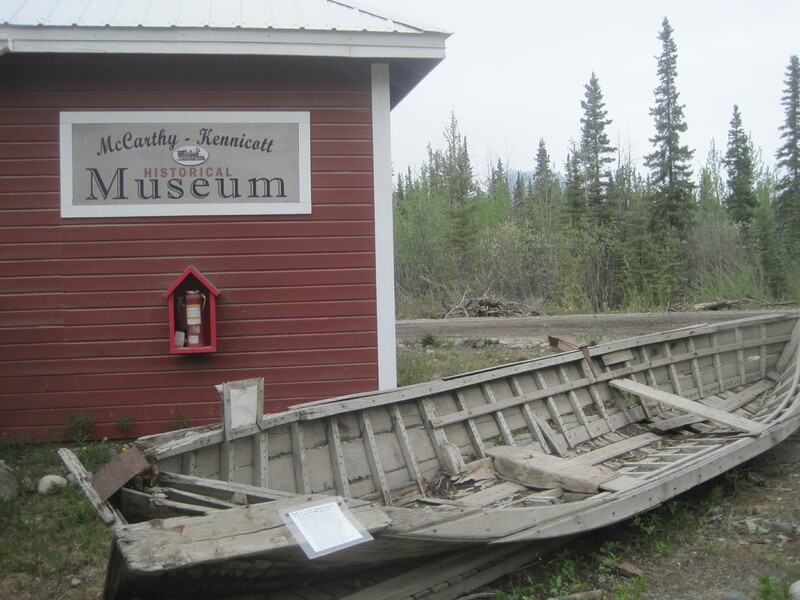 If you go to McCarthy this summer, swing by the museum and take a look. I love this quilt. It truly is a community stitched together in fabric and thread. Here a few close-ups for you to enjoy the work of the community members. Doesn’t it look great with the sewing machines? You know I love sewing machines. 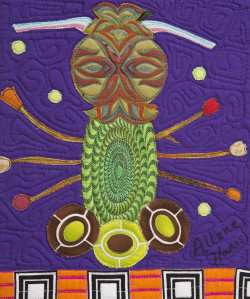 PS- I’m linking this post to Nina-Marie’s Off the Wall Fridays where you can see what fiber artists from around the world have been doing this week. 30 May	This entry was published on May 30, 2014 at 7:42 PM. 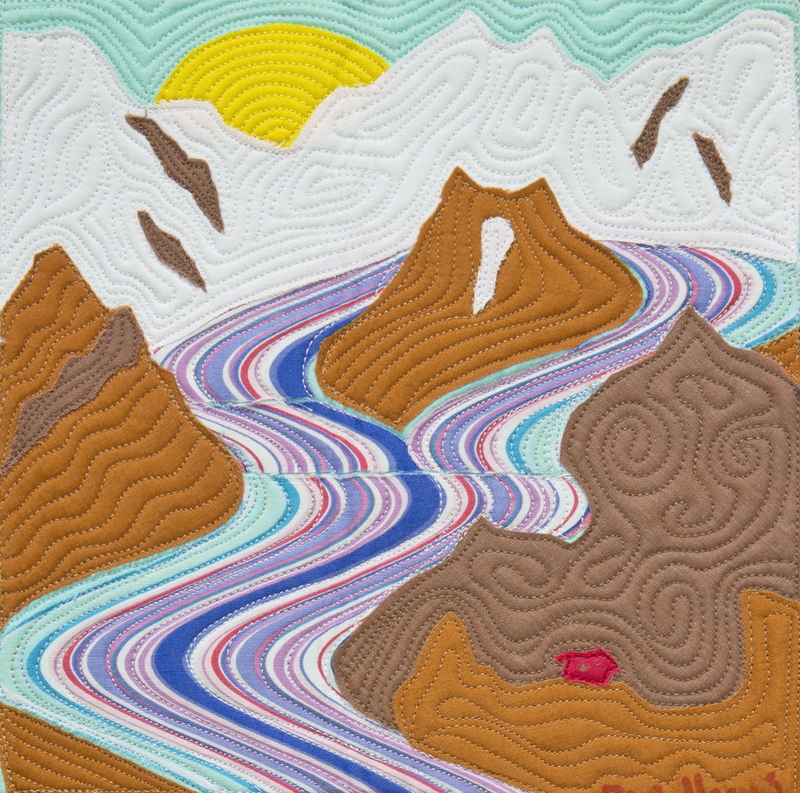 It’s filed under Quilt Stories and tagged Alaska, McCarthy, McCarthy Solstice, McCarthy-Kennicott Historical Museum. Bookmark the permalink. Follow any comments here with the RSS feed for this post. Hi Maria… Way cool this story… what a terrific way to recognize and empower the community. This project grew from roots you shared into a beautifully blooming community treasure. Thanks for sharing! Thinking Anchorage would be a great place to live, and now McCarthy. And it’s warmer than we are here!!! My American heart is stirring…. Thank you Bethany. We love Canadians up here. Beautiful! Seems there are some talented artists in that community! 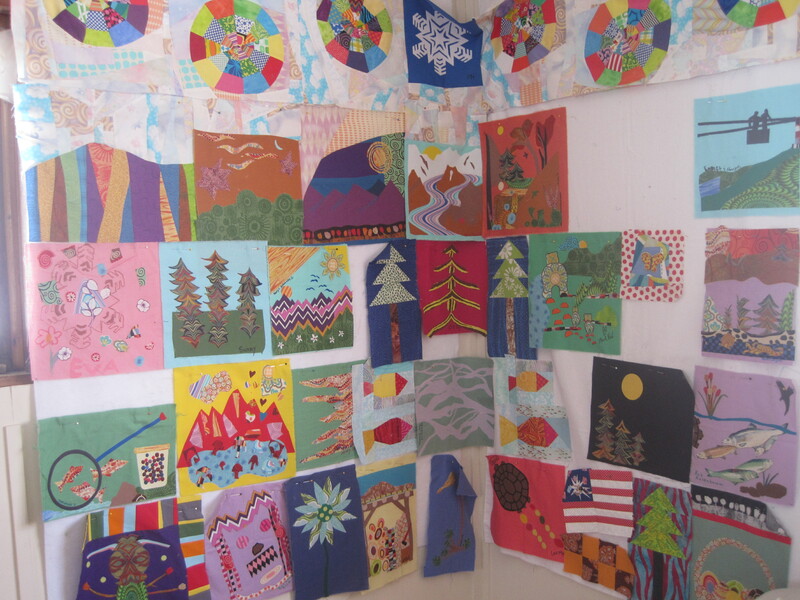 Several of them have made baby quilts with me and many of them are artists in their own right. It was a great group to work with. 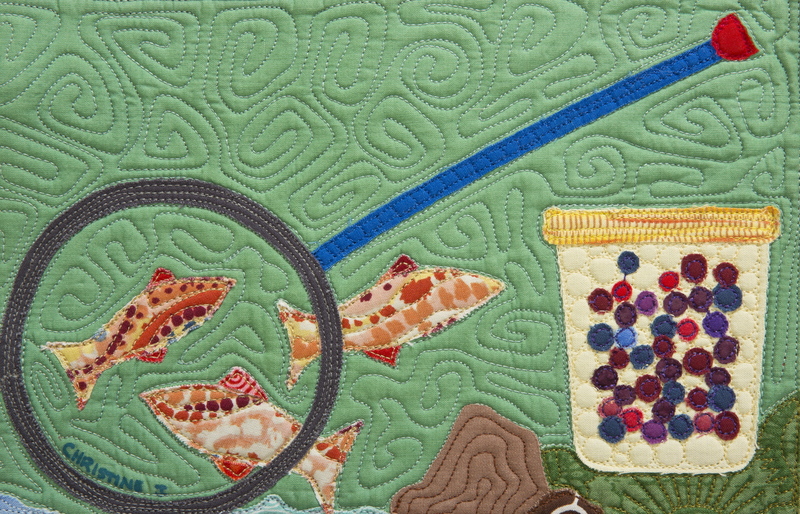 The appliqué and your quilting are fantastic. Just love your style. Thanks for sharing. Oh Maria – This is stunning. What a wonderful way to work within your community. There are many artist in your midst. I can not say which block I like the best, I love them ALL. I love the way you bring it all together.. 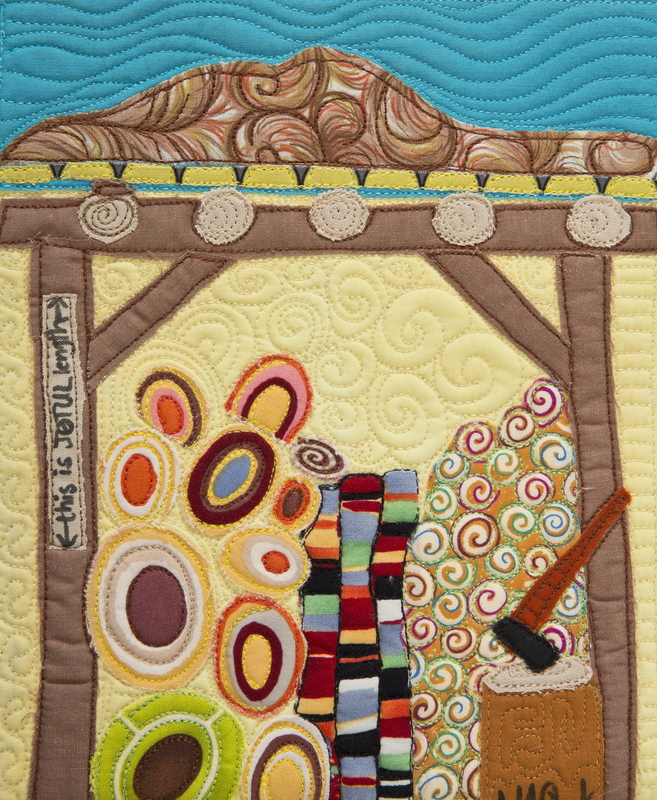 If I had seen that quilt at a show, I would know it was “you” by those ‘joining’ pieces that are so vibrant! It will brighten the museum and hanging above a sewing machine is perfect. 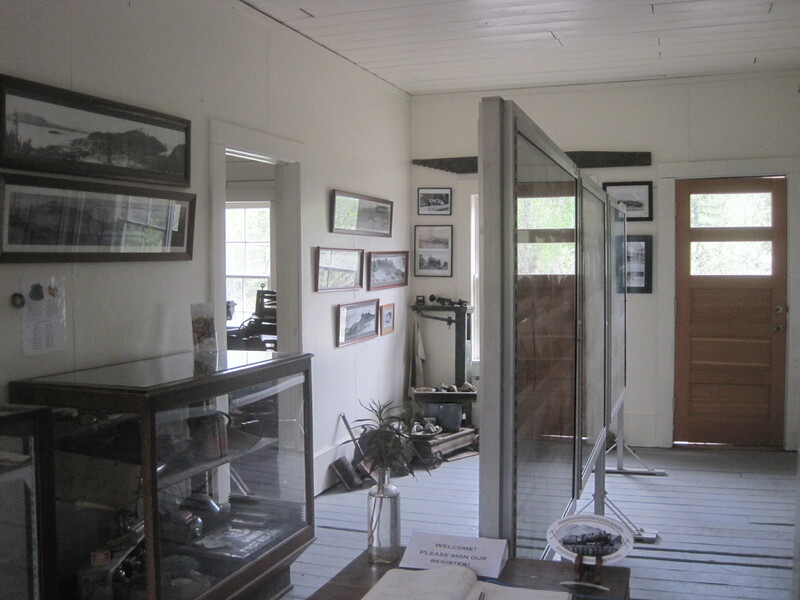 (I thought the museum was a little brown and white before I saw the photo of the quilt on the wall. Now it is full of color and light!) Your quilting really makes it sizzle!! You really warm up that community with your art and sense of community. Mary, you are too kind. You are right about the color. It does liven things up. I hope your summer is off to a good start! Beautiful, you put it together with a lot of thought and organization. If you get to Ketchican, check out the tree in the children’s section of their new library. 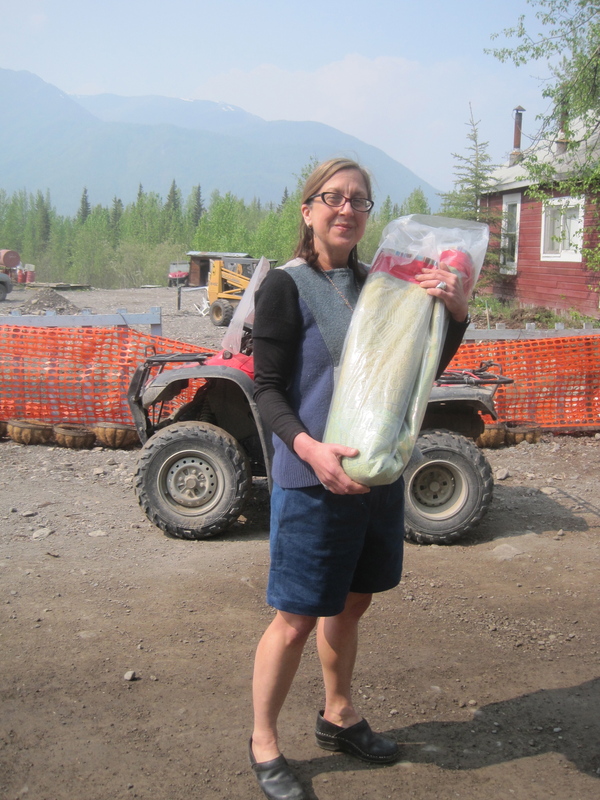 Our group in Oregon helped one of our members and the Ketchican group to make fabric leaves for it. It was a community activity, and lots of children and locals made thousands of leaves for the tree. I would love to get to Ketchican one of these days! That sounds like a wonderful project. 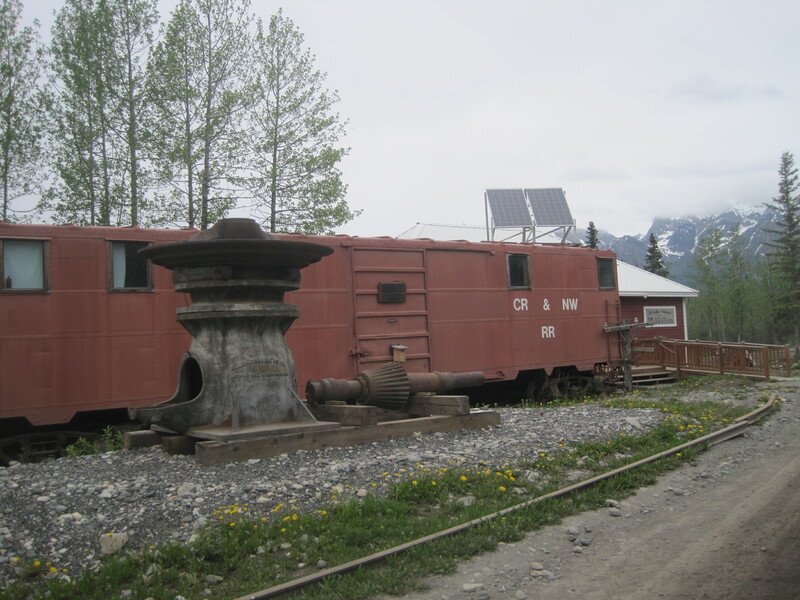 What a beautiful journey for this piece and a wonderful place for it to live! How special for the community to have the quilt be part of the heritage for all times! It’s so charming!! I love the special touches. I don’t know anyone who lives in Alaska! Thank you LeeAnna! You know someone now. Thank you Tamara! 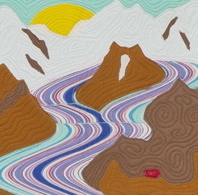 I wish you had ditched work that day and made a quilt block. I can hardly find the words to say how much I love this quilt and that a community came together to make it and that you paved the way for this amazing experience. I wish Alaska wasn’t so far from Texas!! Janie- thank you so much for your really wonderful words about my work. I know Charlotte, North Carolina isn’t Texas, but it is closer. 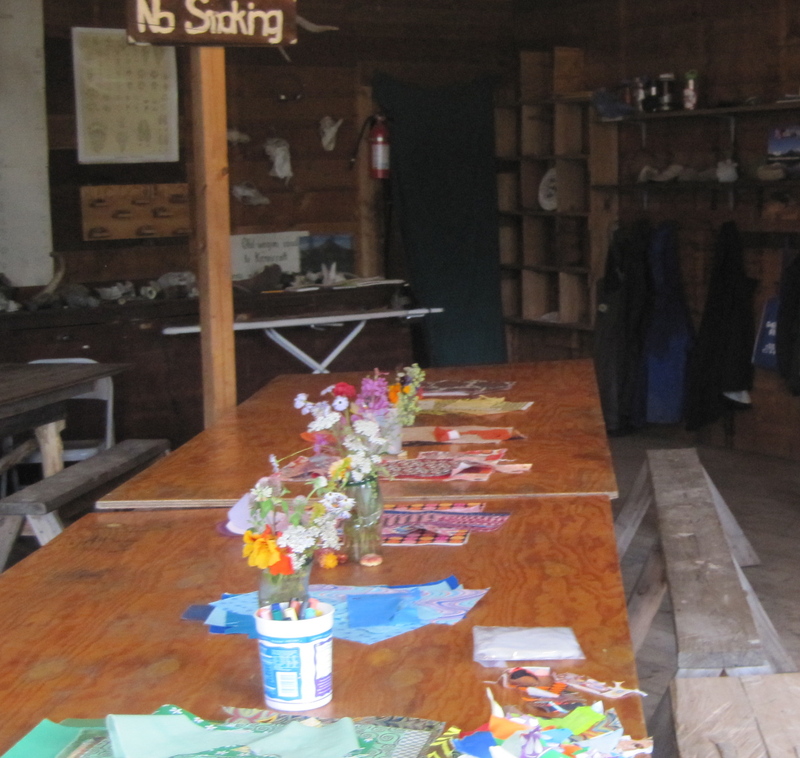 I will be making a community quilt there this fall. I’ll keep you posted! That will be great to follow your work! 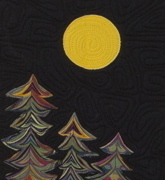 Hi Maria, I was thinking about your upcoming project for the community quilt. I’m really looking forward to learning about and seeing it! Will you be posting progress? Janie- I leave on September 2nd to start the residency at the McColl Center in North Carolina. 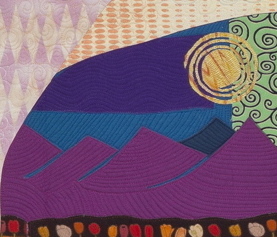 I will be building a community quilt there during the course of that two month residency. Thank you for asking. And YES I will be writing about the process.